Boyds, Md. (Jan. 8, 2019) – The Washington Spirit has made several additions to its technical staff for the 2019 NWSL season, including the hiring of Richie Burke as the new head coach and technical director. Joining Burke as newcomers on Washington’s first team staff are Michael Minthorne (High Performance Coach) and Christian Cziommer (Tactical Analyst & Team Performance Coach). 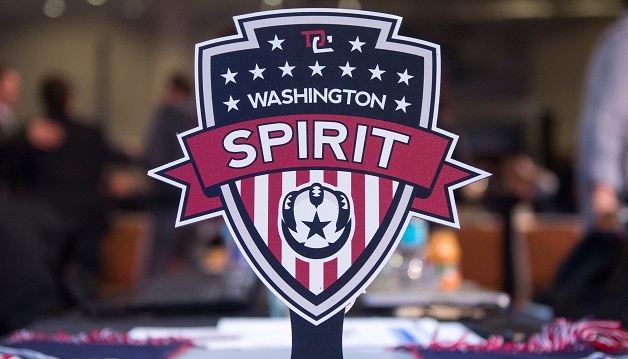 Returning members of the Spirit technical staff include Tom Torres (Player/Opponent Analyst & Technical Development Coach) and Kati Jo “KJ” Spisak (Scouting & Reserve Team Head Coach). The club also retained Ben Berczek (Equipment Manager & Training Coordinator). Spirit CEO Larry Best sought coaches with UEFA and U.S. Soccer Advanced Badges and Licenses as part of the criteria for building out the technical coaching group. Burke joins the Spirit after serving as head coach of D.C. United’s Under-23 team. He coached with D.C. United’s academy program from 2005-2010, and went on to manage Scottish Professional Football League club Livingston FC from 2012-2013. He later re-joined the D.C. United organization in 2014 after returning to the U.S.
A native of Liverpool, England, Burke holds a UEFA ‘A’ coaching badge and a U.S. Soccer ‘B’ License. Minthorne is a Certified Strength & Conditioning Specialist (CSCS) with distinguished certifications in performance and nutrition. He has worked with professional soccer clubs across the world, including Clube de Regattas do Flamengo in Brazil and Aston Villa FC in the United Kingdom. He also worked with the Chinese Olympic Committee in Shanghai. Cziommer is a UEFA “A” License coach with a Masters Degree in Sports Science from the prestigious Sports University in Cologne, Germany. He currently serves as President and Academy Director for FC Virginia. Torres returns for his second year on Washington’s first team coaching staff, after serving as an assistant for most of the 2018 season, prior to serving as interim head coach for the final three games. He will continue in his role as Academy Director of the Virginia branch of the Spirit’s U.S. Soccer Development Academy youth program based in Reston. Spisak, a former professional goalkeeper, has served as a member of the Washington Spirit coaching staff since 2014. Along with her pro team duties, she has led the highly successful Spirit Reserves program to three straight undefeated regular seasons. -Berczek is in his second year with the club and has a proven an invaluable member of the team in supporting players and operations around training, games, and travel. -The club will add dedicated goalkeepers coach and addition support staff dedicated solely to the professional team later this month. -First team Open Tryout dates will be announced soon.